Halloween is a Christian holiday, or at least, it was. Somewhere in the last few decades, Americans forgot that. We gave up on Halloween, but it’s not too late to get it back. We can still have a Christian Halloween. This post, The Case for Halloween: Why Your Church’s Fall Festival is Pagan, contains affiliate links which means that if you click on a link and make a purchase, I’ll receive a small compensation. You can read our full disclosure policy here. The celebration was started by Pope Gregory III between 731-741 AD as a day for Christians to celebrate the dead, especially saints, martyrs, and deceased believers. It was originally a three day celebration called Allhallowtide or Allsaintstide. The heart of the celebration was All Saints’ (Hallows’) Day and All Souls’ Day. The evening before was All Hallows’ Eve. This is the truth behind Halloween. 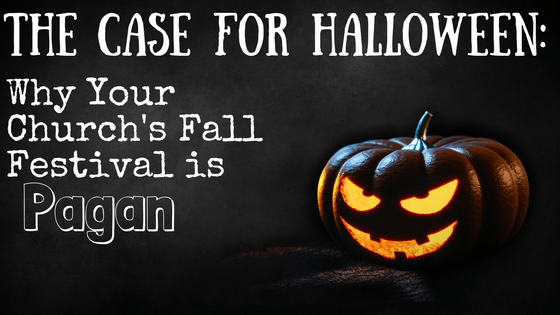 Now, let me give you four reasons why a church fall festival is pagan and a Christian Halloween is boss. 1. You are abandoning our Christian heritage. For many American Christians, our heritage is that WE wrote the constitution on the Mayflower while Betsy Ross and her church sewing circle stitched together Old Glory and Thom Jefferson led a Bible study. But believe it or not, our heritage predates ‘Murica. Our faith and the celebration of it throughout the year united us with believers around the world. Back before Christmas was crucified by commercialism, it had the ability to make people in politically motivated wars honor a spiritual peace and lay down arms to remember the advent of our Savior into this broken world. While putting on masks, painting skulls, and eating candy is undoubtedly less powerful than Christmas, shouldn’t our children be connected to other believers around the world? Shouldn’t they learn that Jesus wasn’t the only person that died for the sake of the Gospel? Yes, I know Jesus and His death were unique in all of human history (see how I always capitalize His Titles and Pronouns), but He was the role model for countless believers. Believers around the world are still drinking that cup and you do not give them proper honor by having a festival to celebrate fall. 2. 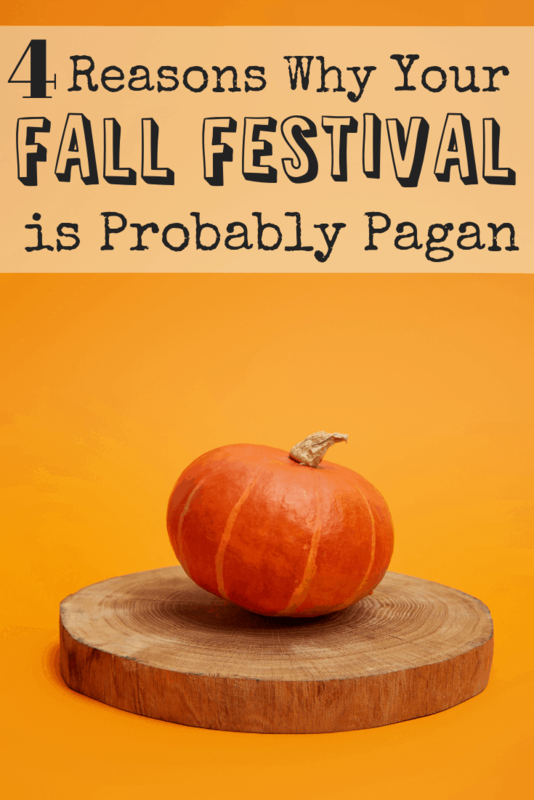 Your fall/harvest festival is a lot more pagan than sacred. Bible Trivia time! When, in the scriptures do we see the passing of seasons celebrated? If you guessed the worship of Ba’al, you’re a winner. The celebrations of Ba’al and Asherah were to appease the deities so that they would grant fertility and an ample harvest. In fact, pagan celebrations around the globe coincide with solar and lunar phenomena because they revered the sun and moon as deities and the only thing that seemed close to a unique interaction with these deities was when they went through a seasonal change. Israel’s celebrations and the church’s celebrations are rooted in historical events, not seasonal changes. The Feast of Tabernacles celebrates when God provided for His people in the wilderness. It is a historical reality. Hanukkah celebrates the rededication of the Temple. It actually happened. So it is with all Judeo-Christian holidays. The Passover happened. The crucifixion and resurrection happened. The virgin birth happened. Yes, we celebrate Easter/Passover based on a lunar cycle, but both celebrations point to a specific historical event. Pagans celebrate in the hope of finding favor. Christians celebrate because history shows that we have already been given unmerited favor. *Let me remind you of some other historical events. Jan Hus was burned at the stake for preaching against indulgences and the crusades. William Tyndale was strangled and burned for teaching the truth about a king’s divorce. Stephen won an argument with some people at a synagogue and they had him charged with blasphemy, convicted, and crushed to death by stones. In April 2016, Ding Cuimei, wife of the Rev. Li Jiangong, was standing in front of a church trying to stop the government-ordered demolition of the building when she was bulldozed into a ditch and buried alive. Might these historical events be worthy of our remembrance? 3. The spirit of Halloween is victorious, and your harvest party is so Ned Flanders I want to vomit. Halloween says, “scoff at death because it is not the end of the line for us anymore.” In fact, after death we will celebrate like never before. Some experts point to the preexistence of Gaelic and Celtic harvest time celebrations and see syncretism or a blending of Christian and Pagan culture, but that is ridiculous. Their beliefs and Christian beliefs are diametrically opposed. They cannot blend. The pagans held beliefs about the activity of the spirit and fairy worlds that Christians absolutely reject. They prayed for survival through the winter, meanwhile, Halloween celebrating Christians say, “give it your best shot death.” Christians should (and some do) have no fear of death. So what is the spirit of the Har-viddly-est Festival? Look, Halloween is a cultural reality in the United States. Millions of kids are going to be going door-to-door looking for something good. What would happen, if we didn’t turn up our noses at our neighbors and say, “We don’t do Halloween,” but instead we did Halloween better than everyone else? It is our holiday after all. What if your Sunday school class set up a grill in someone’s yard and gave out hotdogs? Or you could set up a photo booth and use a nice camera to take pictures of kids with their parents and post them on your church’s Instagram. The parents would then follow the church’s Instagram and you would have a direct line of communication to families in your neighborhood. If your family is going door to door, give something back to the people giving out candy. Shake their hand and thank them for being kind to your children. 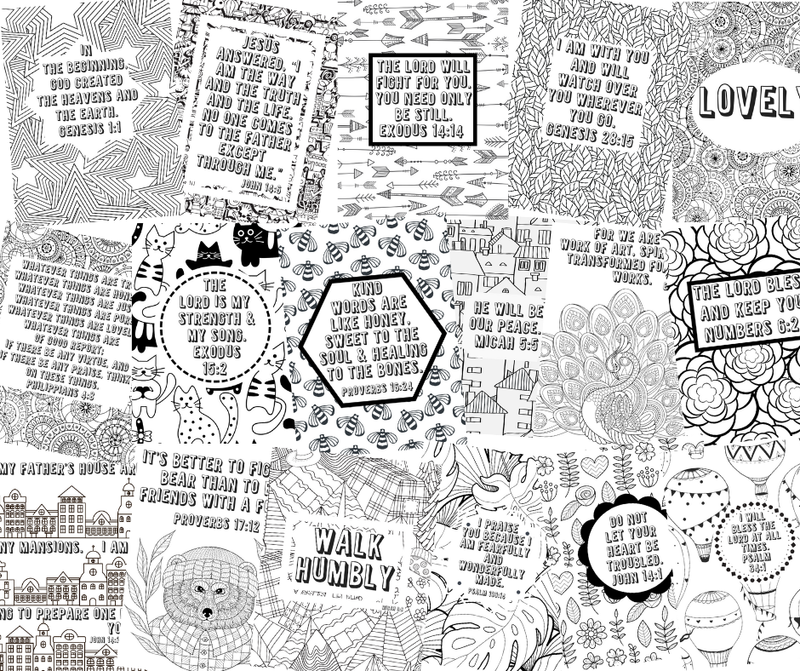 Hand them a pre-printed thank you note from your kids. Hand them an invitation to the church’s Thanksgiving luncheon or Christmas musical. Use Halloween as a time to serve together as a family. We can reclaim Halloween’s roots. Or we can retreat into the comfort of our white-washed paganism. As for me, I’m dressing up as Hans Solo and going to Whip and Nae Nae like there’s no tomorrow because one day I won’t have a tomorrow, and that suits me just fine. Thanks Beth! I’m glad you are enjoying the blog. It’s difficult to say what needs to be said sometimes, but when speaking the truth of God’s Word, it’s much easier. Hi, Haley and Chip! Thank you for this post. Lots of food for thought here. Hi Sabrina! Let us know what you think after you’ve had some time to mull it over! Love the spirit behind this! I’ve come full circle in my Halloween beliefs, from loving it to not celebrating and back again so many times. Now I just hate thinking about what decision I’m supposed to make, what do I believe when sooo many Christians share various articles in offense? This gives me a new angle I’d never caught before and I love it. Thank you so much! I don’t know you but I’m gonna follow your blog now if you don’t mind. I’m so glad you got something new out of it Susan! As a Christian, we are often overwhelmed by information and that makes it really hard to make decisions about controversial things. So glad you are following us! 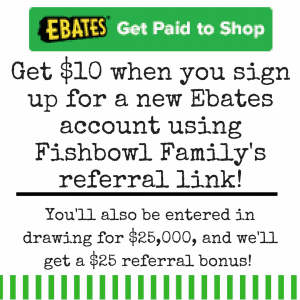 Welcome to our Fishbowl Family! Thanks Andrew! As Christians, we can choose to embrace our culture and point to Jesus through it all. I love the way you write but more than that I love that you’ve given me something to think about. I grew up celebrating Halloween and thinking nothing of it and then I started to see how evil it was and I was so disappointed because it’s always been one of my favorite holidays. Fall festivals are so boring to me lol. I love that you called it Ned Flanders! Totally. But you also rooted your arguments in scripture and history which is most important. Definitely gave me something to think about! There’s a lot of misconceptions about a lot of our holidays. I think the bottom line is to live like Jesus and love people. Show them God’s love on Halloween and every other day of the year. Glad you enjoyed it!